Welcome to our FAQ page for Cricket Flours! 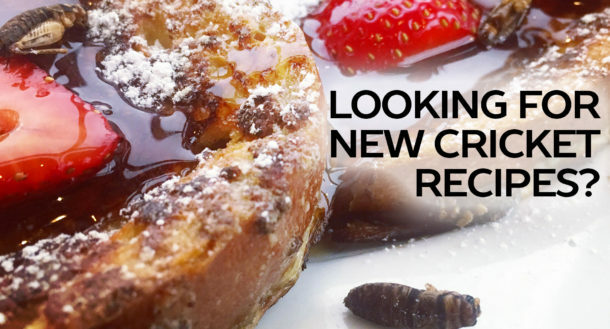 While 80% of the world currently eats insects in their diets, eating crickets is a new and emerging trend here in North America. Because cricket protein is a new ingredient, we have received a lot of questions since launching our company and website at www.CricketFlours.com. We have included some of the frequent questions we receive from new customers and people interested in this new alternative source of protein and nutrition. Feel free to explore around to see if one of your questions is answered below. If you don’t see your particular question, or would like to speak to a member of team directly we would love to hear from you. To connect with a member of our Cricket Flours Team, send an email to team@cricketflours.com or give us a call at (503) 383-9218. Thanks! Cricket flour is made by milling crickets, and results in a course or fine grain powder. Because cricket flour is milled from whole crickets, cricket flour provides a full nutritional profile that is high in protein, nutrients, and amino acids. 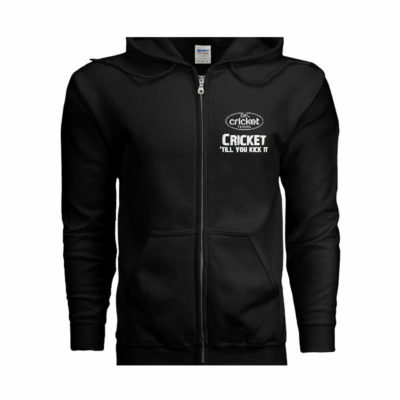 Throughout our website and in the industry, often you will see the terms cricket powder or cricket flour used to refer to milled crickets. Cricket protein powder is made from crickets, and the main ingredient is cricket flour. Cricket protein powder provides a full nutritional profile and amino acids and BCAAs important in creating the best cricket protein powder. Because cricket protein powder and cricket protein supplements use full crickets, they provide a cleaner source of digestible protein that is less processed and contains naturally occurring calcium, iron, B12, and more. Check out our cricket protein powder with naturally 60% protein weight by clicking here! How do you ship your Cricket Flours products? We ship the majority of our products that are found in our Cricket Flour Store through the United States Postal Service. Once your order is placed through our store, our team packs and ships your order in 2-4 business days, and often sooner when we can. For packages under 1lb in shipping weight we generally ship using First Class Shipping, and orders over 1lb we use Priority Rate Shipping. If you have any concerns about shipping dates or would like to expedite an order, please send us a message here. What is your Cricket Flours return policy? Our return policy lasts 30 days. If 30 days have gone by since your purchase, unfortunately we can’t offer you a refund or exchange. If you experience a problem with any of our products or shipping within the 30 days— please let us know. Let’s figure out a way to make it right! We cannot replace or refund orders that were shipped, delayed, spoiled or returned due to an incorrect or undeliverable shipping address. That said, we want to keep you in our Cricket Club. So if you have any concerns with your order, please go ahead and send us a message here and we’ll try to find a way to exceed your expectations. Can I bake with cricket flour or cricket powder? Yes. It can be used in baking but because of the high protein profile and content, you must add other flours to pure cricket flour before baking. Typically, people will use a combinations of tapioca flour, coconut flour, or other gluten-free flours mixed with cricket flour to make baked goods. Of course you may also add a few scoops of our cricket flour to your favorite recipes to boost your protein and nutrient profiles. 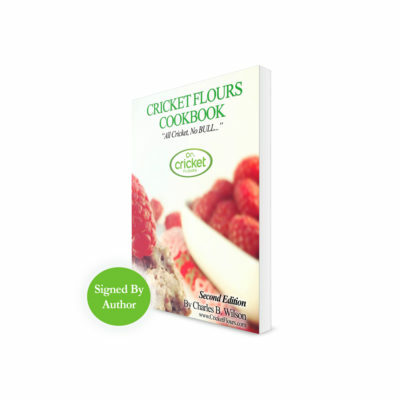 Check out all of our recipes available on our website here or check out our published “Cricket Flours Cookbook: All Cricket, No Bull…” available with 50+ recipes and insights into baking and using cricket protein. Yes. If you have a crustacean shellfish allergy, you may be allergic to crickets and should not try them. Crickets are arthropods and just like shrimp, crabs, and lobsters, and they can cause allergic reactions for individuals with a crustacean shellfish allergy. In nature, crickets are omnivorous and eat almost anything. However, our crickets are raised in facilities designed for human consumption and are fed a diet of high-protein and vegetables designed specifically for their nutritional needs. How much protein in a cricket? Dried and roasted crickets contain an average of 55-70% protein by weight. While nutrition and feed used to raise crickets can have an impact on the final nutritional details, we have included some additional details on the protein in a cricket and nutrition that can be found here. What is the Cricket Flours nutrition or cricket protein amino acids? Cricket protein and cricket powder naturally has a great source of protein and nutrients. 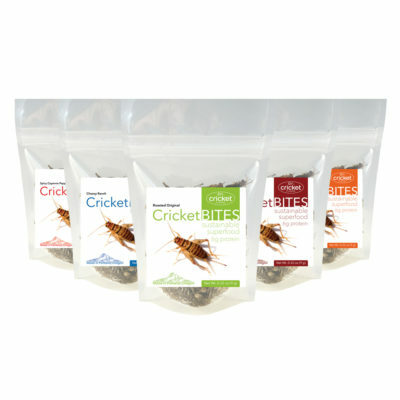 Cricket Flour is made by milling whole roasted crickets into a fine powder that includes all of the essential amino acids, B12, iron, calcium, Omega-3s and Omega-6s. For a full list of the cricket protein amino acids, check out our post here. How many crickets are in a pound of cricket flour? Depending on the cricket processing and milling equipment, it takes approximately 5,000 crickets to make one pound of cricket flour. All of our crickets are humanely killed by using their natural ability to go into stasis when they experience cold temperatures. Because they are coldblooded, our crickets enter stasis when the temperature drops, and then we quickly freeze them while they are in this inactive state. Are crickets vegan or vegetarian? No. Typically, vegans and vegetarians do not eat crickets. However, if their decision is based on environmental or sustainable concerns, crickets are a great solution. Crickets use only 1/10th the water and 1/6th the feed of competing protein sources such as beef. In addition, crickets do not produce the significant levels of methane, and do not feed solely on the same crops that people do.